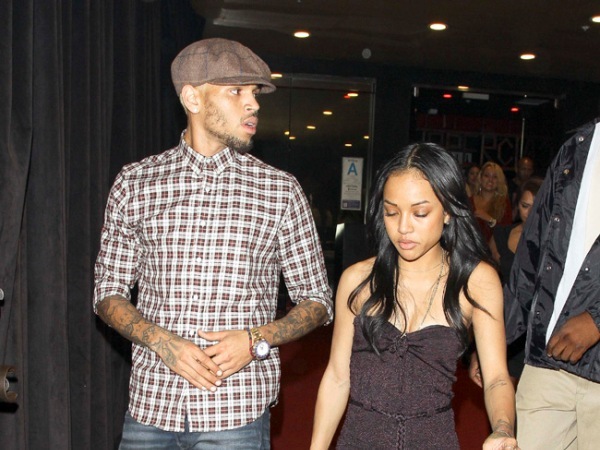 Karrueche Tran dumped Chris Brown after discovering a number of "inappropriate" text conversations with other women. Karrueche Tran dumped Chris Brown over his "inappropriate" text conversations with other women. The 25-year-old model reportedly ended her romance with the Yeah 3x hitmaker in February after visiting him in rehab - where he was on a court-ordered anger management programme - and finding his phone was filled with messages from girls, gossip website TMZ reports. Karrueche is said to have been particularly upset because she had been "nothing but supportive" to her on/off lover throughout his recent problems. She also had no idea he had allegedly been getting close to women in the Malibu clinic until long after they split. Earlier this month, the Fire China singer was kicked out of rehab after breaking three "internal rules", one of which was specifically imposed on him, which was to stay at least two feet away from any women. The rule was made because he is still on probation for his 2009 assault of then-girlfriend, Rihanna, but he broke it by "touching elbows and hands" with a woman. And he was also said to have been involved in "some sort of sexual encounter with a woman at the facility" earlier this month, but it was not cited as evidence to thrown him out. The 24-year-old star is now being held in a Los Angeles jail until a probation violation hearing on April 23. Being thrown out of the court-ordered anger management programme - which was extended from an initial three-month period, which Chris had completed, in light of his facing further legal problems - was considered to be a violation of his probation. Chris' legal troubles in Los Angeles stem from the assault of his then-girlfriend Rihanna in 2009. In a separate case, the Turn Up the Music singer also faces a charge of misdemeanour assault in Washington D.C., which will be heard on April 17.